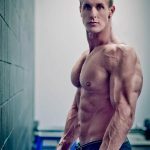 Fitness and Power talks with Bodybuilding.com sponsored athlete and National Level Physique Competitor – Brandan Fokken. We’ll try to find out a bit more about this incredibly shredded athlete and what his diet, workout and training philosophy look like. F&P: Hi Brandan and thanks for taking the time to talk with us. Can you please introduce yourself (your name, occupation, how long you are a bodybuilder/fitness athlete and your bodybuilding achievements) ? 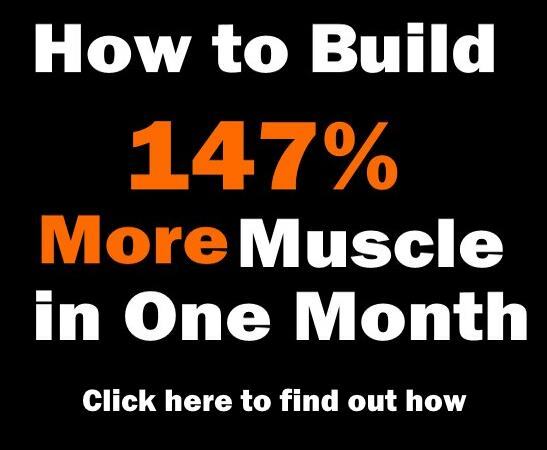 F&P: How did you get started with bodybuilding/fitness ? Brandan: I have loved sports my entire life and always had aspirations of being big and strong. I was a naturally gifted athlete and participated in baseball, basketball, and football. I was that guy that even went all out in gym class. When it came to weight lifting, I just wasn’t good at it, so starting my freshman year of high school I really put in the time and effort to make myself better. I loved the sport of bodybuilding, and followed the sport through high school. All through my 20’s I did the same and always talked about doing a show, but didn’t really know where to begin. My friend Trevor Larsen decided to do his first show and tried talking me into doing one with him. I talked to my friend Ned Sacipovic and asked for his help. Ned has more experience in the sport than anyone I know, so if anyone could help me it was him. He said he could get me ready, so I got started. I did my first bodybuilding show at the age of 30. I competed in light heavy and eventually made it up to the heavy weight class. After my first and last heavy weight competition under the advice of my trainer Ned I made the switch to Men’s Physique and have done that ever since. I felt the class fit me better and I was ready for something new. Although at my core, I will always appreciate bodybuilding and love the sport, I am now putting all my energy into this new class. I love the camaraderie probably the most about the sport. Getting to know other like-minded people, learning from others, and being motivated by but also motivating others. As a whole I love the fitness lifestyle. What I don’t like are haters. People that try to bring others down for trying to better themselves. Passing judgment on people assuming they know who they are and what they are about without knowing anything about them. People assume too much based on limited information, how someone looks, what someone else says about them, etc. When in reality the people they are trying to bring down are probably very different than how they are being portrayed. F&P: Your favorite athletes in this sport ? 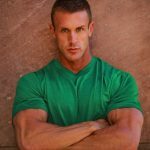 Brandan: Arnold Schwarzenegger, Felicia Romero, Jamie Eason, I also admire anyone that has self-confidence, someone that goes against what others tell them they have to do to do what they feel is right. You can be inspired by athletes that are total beginners to the most advanced. You just have to open your eyes and be open to it. There are so many people out there that have inspired me in one way or another and I am very grateful to all of them. F&P: What is your training philosophy? 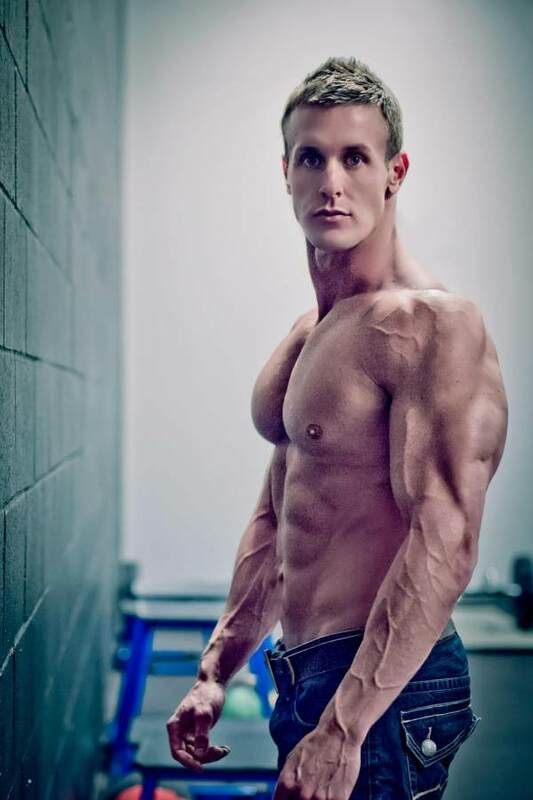 Brandan: Without nutrition I wouldn’t be where I am at today. So it is the foundation that everything else is laid upon. Depending how I want to look, or if I have a contest coming up, it’s through nutrition that I make those changes. I eat about every 2.5 to 3 hours. I also have a shake and a banana after my training session. In my on-season diet, I taper my carbs down as I go into the show. I also have carb cycled in the past but for my next contest I will do a gradual deplete. F&P: What does your current workout look like ? On my 6-th day I will pick 2 to 3 body parts I think that are lagging and do a touch up. I may do a circuit, or I may pick 2 to 3 exercises for each group. I really focus on the muscle and take time to make sure I’ve worked it effectively. These days I normally lift very light, strict form, high reps.
F&P: Wow, that’s really high volume you’re using. What does your off-season diet look like? F&P: I saw some of your photo shoots, you really look cut and shredded. What do you change in your diet before a competition? Brandan: I have done so many different things regarding dieting. I have done little cardio, TONS of cardio, gone zero carbs, high fats etc. Through all of this trial and error I have found what works best for me. 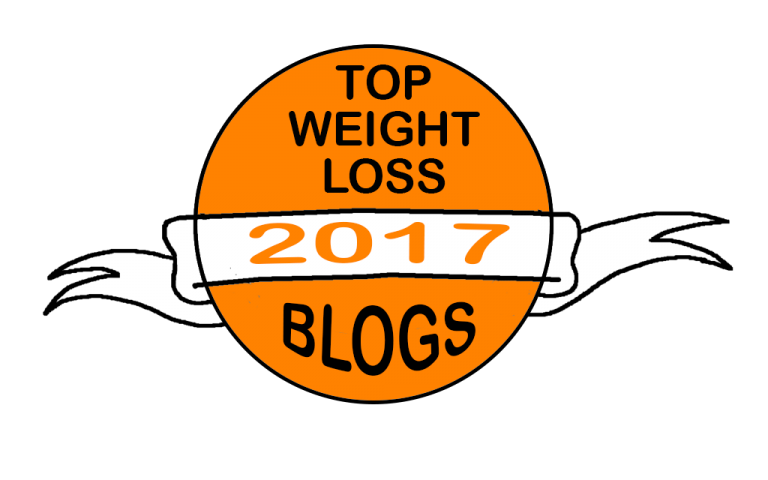 I do a gradual deplete diet, by slowing eliminating carbs and fat out of my diet as I go along. I also keep my cardio high. I am carb sensitive and do best on a lower carb diet. My cardio can vary from 1 hour to 2 hours a day depending on my energy level and my overall appearance and how much time I have to get to my best. F&P: Do you cheat on your diet sometimes? What are your favorite cheat foods? For myself I don’t like to have them when I am training for a contest, but have had them from time to time under the direction of my trainer. As a trainer myself, depending on the conditioning level we are trying to achieve etc. I prescribe them to my clients and believe it helps them both physically and mentally. If I do have one its typically sushi or a burger. Brandan: I look at and read a lot of positive quotes and literature, study people with drive and ambition, and try and better myself through their example. I look to my family and friends for strength; they are always there for me and a great source of motivation. F&P: Your favorite exercise/exercises ? F&P: What supplements do you feel work best for you ? Brandan: I wouldn’t be where I am at today without supplementing my diet. There are a lot of products on the market, and some great ones. If I were to recommend any company I would recommend looking at and reading the reviews on Bodybuilding.com and go through them for your nutritional needs. F&P: Do you have any other passions, besides bodybuilding and fitness? Brandan: I love to travel, cook, movies, donating my time to help others, writing, and speaking to businesses and schools and/or at health seminars. F&P: What would you say to our readers that want to build athletic and powerful physiques ? Brandan: You need to plan your nutrition around your goals. This is 80% of the equation, so if you don’t have the nutrition down you will never fully achieve what you want to achieve. Set aside time to prep your meals, and always have food with you so there is never an excuse to eat bad, or miss a meal all together. Set a budget. Eating a bodybuilder type diet can be costly, so find foods that you like that work within your budget and eating plan. You need to first of all be OK with yourself at whatever you are involved in or what level you are at in anything you are doing “workout routine, diet, etc.”. When you are OK with yourself and love yourself, you will make more of a commitment to the betterment of you. You also won’t get discouraged when things don’t go exactly how you want them to. You will have the strength to carry on and continue to try to achieve the results you are striving for. Everything takes time; it took time to put on the weight so it will take time to take it off. Set some realistic goals and then set a big goal at the end. Enjoy each incremental goal that you have achieved on the way to your big goal and celebrate those victories on the way to a better you. If you are having a hard time with the plan you are on, take a step back and reevaluate what you are doing and make sure the plan is right for you. Make sure your diet and workout routine fits in accordance with your goals, diet being the most important. If you’re not eating for results you will never have the success you want. 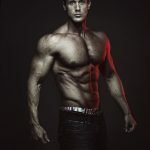 Use the resources you have such as Bodybuidling.com and educate yourself. Make sure you are doing a routine that is right for you and you have a good diet plan in place too, nutrition is 80% of the equation. If that doesn’t work, consider hiring a trainer. Surround yourself with positive people and people that help you along the way. Negative people will just bring you down and make it that much harder for you to achieve your goals. The people that bring you down are afraid of change, and feel that you’re positive attitude and hard work somehow makes them have to make those changes too, which scares people, so they will become your worst critics. Rise above that and work on you, you are the best investment you can make. F&P: Your plans for the future ? Brandan: I want to be successful in all that I do. I am already a guest speaker, but would like to get more involved in that and speak in front of more groups. I would like to continue to educate myself and pass my knowledge onto others as others have to me. I would like to continue to train competitors for shows and help them achieve their goals. I would also like to contribute to more websites and magazines and possibly maybe even write a book someday. I guess at the root of everything I want to be credible, and truly make an impact in others’ lives through helping them obtain all they want to on their own fitness journeys. I also hope to hold my current sponsorships and continue to represent the companies that stand behind me in a positive way. My sponsors do a lot for me, and I do all I can to let the world know it. Lastly I would hope to win my IFBB pro card. This isn’t something that I need to feel successful, but another goal I have set for myself. 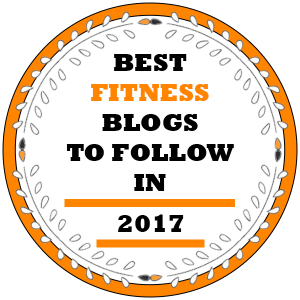 F&P: Again, thanks for talking to FitnessAndPower.com. Keep up the great work you are doing and we wish you many more great achievements in the future.